Bryan Feldhaus is admitted to practice in Minnesota state and federal courts. As a shareholder at Lommen Abdo, P.A., Bryan Feldhaus provides clients practical, business-savvy legal advice in three areas: he helps clients develop litigation and compliance strategies to mitigate their business risks; he analyzes and advises clients on legal, regulatory and compliance interests to improve business sustainability; and he manages and advocates for clients in litigation and regulatory proceedings to remediate liability concerns. 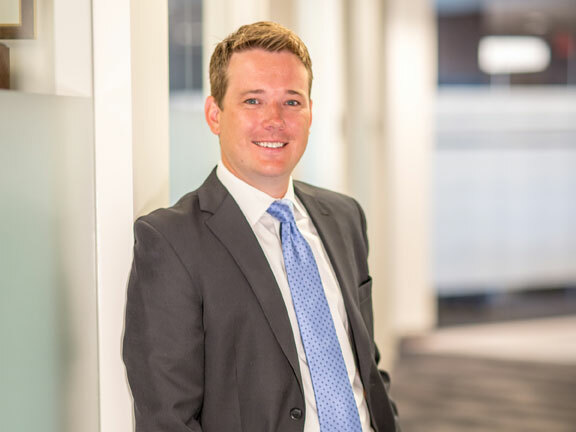 Bryan enjoys providing these services to clients across the legal spectrum, including in business litigation, shareholder/partnership litigation, insurance coverage disputes, professional negligence matters and intellectual property litigation. He also works on appellate matters in the Minnesota Court of Appeals, Minnesota Supreme Court and the Eighth Circuit Court of Appeals. One growing area of his practice is as compliance counsel. Bryan recently obtained an LL.M. degree in Corporate Compliance and Organizational Ethics from the University of St. Thomas School of Law, which degree focused on the intersection of corporate law, business and organizational ethics. His degree allows him to serve as compliance counsel to our corporate and business clients and will empower him to more effectively advise clients about their regulatory obligations, help clients devise and implement compliance and ethics strategies, and manage a client’s litigation, regulatory investigations or enforcement proceedings to improve their business sustainability. Finally, he’s been successful in a variety of legal matters such as litigating patent malpractice cases, assisting with the exoneration of Koua Fong Lee, and securing a settlement for Kristen Hall for her partnership share of the popular band Sugarland. He has been recognized as an Up & Coming Attorney by Minnesota Lawyer and as a Rising Star by Minnesota Super Lawyers. When Bryan is not advising clients with their litigation, compliance or ethics concerns, he’s spending time with his two kids at their family cabin; or enjoying the outdoors during a round of golf or an afternoon on the slopes. View all of the videos from this Q&A by ReelLawyers.com. Electronic Logging Devices: A Hacker’s New Window to Your World?